Create a cozy nap place. Newborns want to sleep when they are tired, just like they did in the womb. But before birth, the environment was perfect for sleep. Your baby enjoyed a controlled temperature, gentle darkness, the soft thump-thump of your heartbeat, and a fluid cradle that gently rocked his floating body. And suddenly, one day, everything changed. The world outside the womb was entirely different. Since your baby cannot control his environment, he must rely on you to create a perfect napping situation for him when he is tired. Your newborn can only stay happily awake for a short period of time (45 minutes to 3 hours) before needing to sleep again. Keep one eye on the clock and one eye on your baby (watching for signs of tiredness), and when it’s time for sleep, create a cozy environment for your baby’s nap. 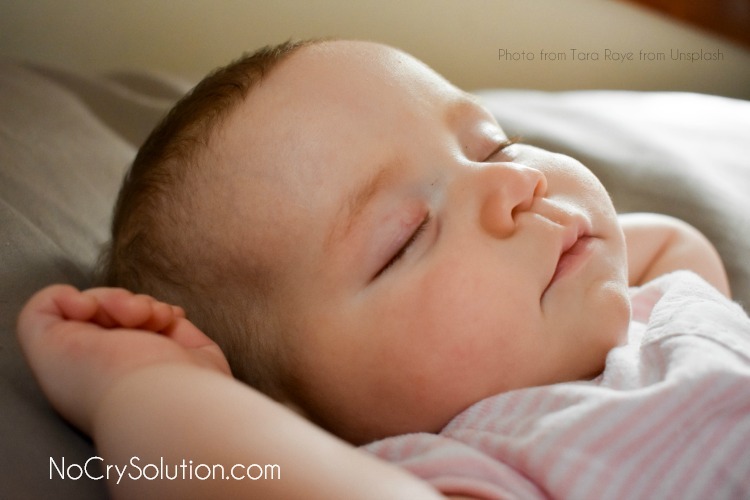 Newborns aren’t very flexible when it comes to their sleep. Missing a nap can interfere with sleep for the remainder of that day and even the next day. So, if your newborn is fussy and not sleeping well, consider if sleep needs have been compromised and pay closer attention to sleep today.